Ah summertime…days are longer, temperatures are balmier, and dining al fresco never sounded so good. Here in the Hudson Valley, it’s no surprise there are a number of fabulous outdoor dining options to choose from. Whether you prefer to dine whilst overlooking a waterfall or soaking up the sunset, we’ve compiled a list of 10 hotspots to check out throughout the region that are guaranteed to tickle your fancy. Seeking 18th-century charm in your outdoor dining ventures? Look no further than The Amsterdam in Rhinebeck. This 18th-century Dutch townhouse has its very own backyard with built in bocce ball court for diners to enjoy. Oh, and the food? Think rainbow trout with romesco and patatas bravas, or duck breast with couscous, pistachios, and cherries…is your mouth watering yet? 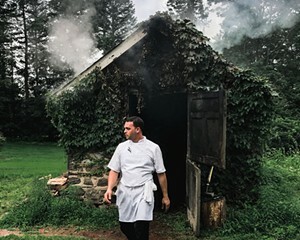 Since opening in April 2017, The Amsterdam restaurant, on Mill Street in Rhinebeck, has undergone a lot of changes—not least of which is bringing on the pedigreed chef Alex Burger. They've also revamped and expanded their outdoor seating to get ready for a summerlong of al fresco dining. In the former location of Bywater Bistro within quaint Rosendale lies a new authentic homemade Japanese restaurant: Soy. We’re not talking California rolls, we’re talking Curry Udon Noodle Soup and Niku Jaga, aka the “Ultimate Japanese mama’s dish!” featuring thin sliced beef cooked with potatoes, carrots, and onions. On top of an excellent menu, Soy offers diners an epically beautiful back garden with lush landscaping, a delightful fountain and koi pond. You can even walk up to the berme and see the Rondout Creek. On the same side of Rosendale’s Main Street a few doors down lies the 1850's House; a Bed and Breakfast with adjoining Tavern. 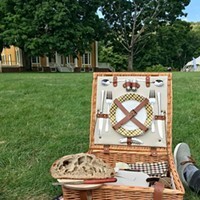 This historic landmark building invites you to step back in time to 1800’s Rosendale while also enjoying “fresh food, local beers and signature cocktails with service that will make you smile”…what more could you ask for? Their new deck overlooks the Rondout Creek and has the distinction of getting the last rays of sunshine in Rosendale, making it an excellent place for a post-work drink or dinner. While Woodstock offers many superb dining establishments, Sylvia has to be our top pick when it comes to eating outside. The Mill Hill Road location has come a long way since it was the raucous, rock bar Joyous Lake. Diners are welcomed to enjoy Sylvia’s “back to basic cooking that is honest and sustainable” on their new deck, replete with a pergola and perfect for enjoying any meal, any time of day. If you like to pair your meals with the soothing sounds of rushing water, grab a table at the Roundhouse in Beacon. This unique historic property overlooks a beautiful waterfall and is an exceptional spot for top-notch dining in the midst of Beacon’s bustle. Roundhouse’s brunch menu is especially intriguing with its offerings of pork belly hash and brioche french toast pain perdu—caramelized apples, Crown Maple organic syrup, AND cinnamon créme fraiche? Yes, please! Imagine a well-appointed manor surrounded by “lands so rich, settlers compared them to butter.” Welcome to Butterfield Restaurant of Hasbrouck House. This 18th-century mansion and accompanying bluestone patio, surrounded by lush landscaping, creates a serene and seemingly private outdoor dining experience. Adding to this exceptional setting is the menu laden with locally sourced and artisanal everything to ensure you leave satisfied. Alexandra Marvar profiles Butterfield at the Hasbrouck House in Stone Ridge. In the heart of Newburgh lies Ms. Fairfax—open for lunch, dinner and weekend brunch. 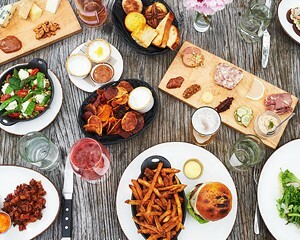 This adorable spot offers a “simple, locally sourced menu focused around cured meats, and fine cheese,” the perfect companion to their 10 rotating taps and specialty cocktails. All you have to do is snag a spot on their picturesque patio lined with string lights and picnic benches, grab a brew, and enjoy the buzz. 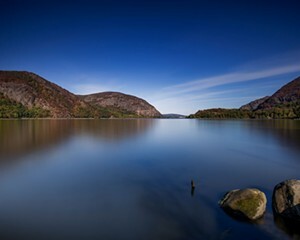 Off of New Paltz’s bustling Main Street you’ll find Huckleberry. 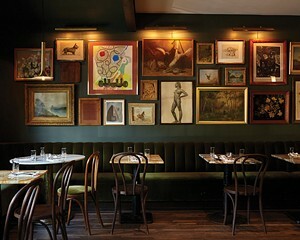 This charmingly decorated spot touts itself as “a cozy cocktail bar with craft beers and a fresh twist on house made pub food.” Inside the two-story house-turned-restaurant, vintage wooden doors line the wall above the bar. 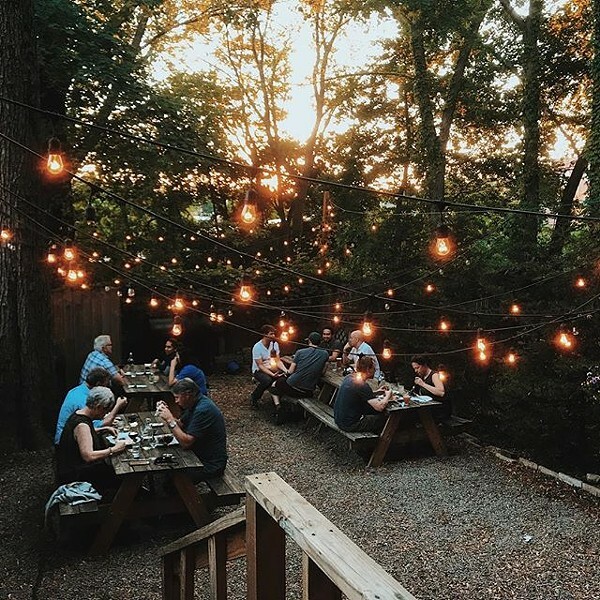 The charm continues when diners eat outside on the patio adorned with Edison bulb string lights, multiple fire pits, picnic tables, AND an outdoor bar. 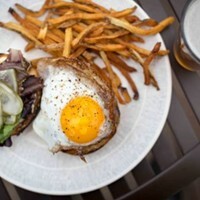 Sounds like a excellent way to round out a day of hiking or rock climbing in the Gunks! Set above scenic Esopus Falls, the Tavern at Diamond Mills is not to be missed! 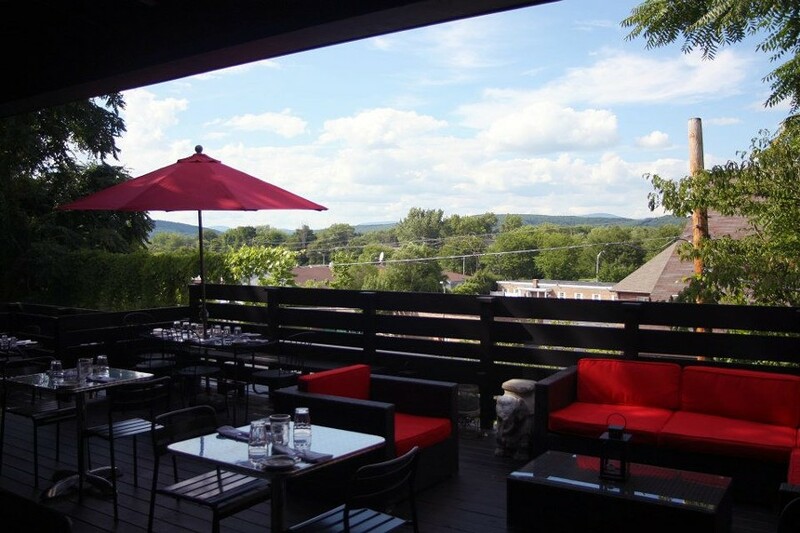 With a terrace directly overlooking the falls and a menu crafted by CIA-trained Executive Chef Giuseppe Napoli, the Tavern is quickly becoming one of the Hudson Valley’s most desirable outdoor dining destinations. By taking a “contemporary approach to Italian cooking with a unique design to traditional regional Italian cuisine,” Chef Napoli creates dishes guaranteed to tantalize any taste bud.